MID-ARGYLL: First sighting of a Fieldfare today was at the Moine Mhor (Alan Dykes). TIREE: An imm Barred Warbler was new at Cornaig School today (Jim Dickson/Neil Hammatt). An early morning seawatch off Aird produced highlights of – an adult Little Auk, 3 Great Skua, 2 Arctic Skua, 3 Great Northern Diver, 108 Manx Shearwater (Jim Dickson) and there this afternoon highlights of – 7 Great Skua, 59 Kittiwake and 18 Manx Shearwater (John Bowler). Also today 11 Pink-footed Geese over Sandaig, 1 Redwing, 1 Willow Warbler, 1 Chiffchaff, 1 Goldcrest, 12 Common Redpoll and 4 Goldfinch at Balephuil (John Bowler). 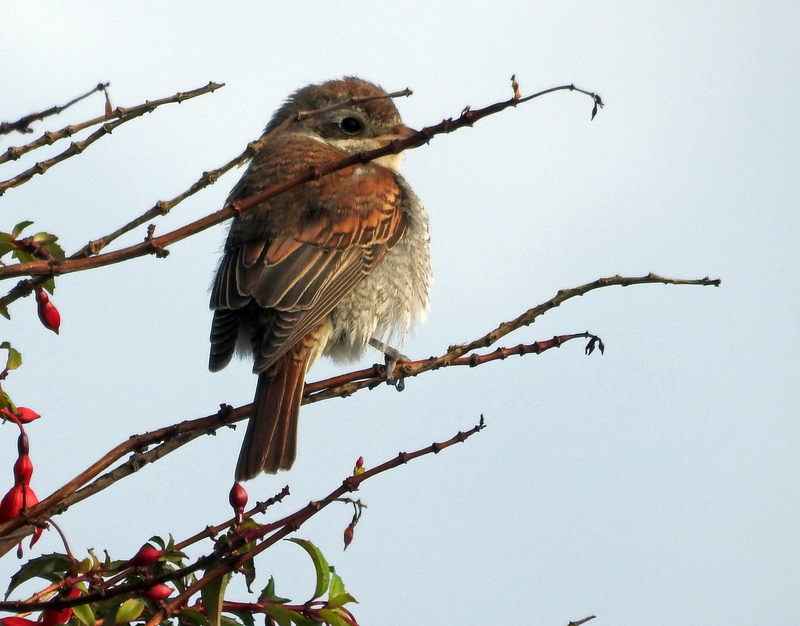 1 Goldfinch at Kilkenneth, 1 Willow Warbler at the Glebe, 3 Kestrels, 1 Merlin across the island, 1 Wheatear at Balephuil, 1 Goldcrest at Cornaigbeg and the 1CY Red-backed Shrike still showing well at Heylipol Church (Jim Dickson/Neil Hammatt). 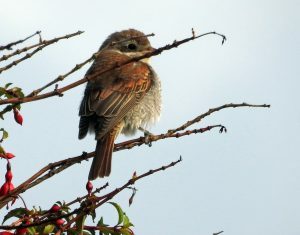 1w RED-BACKED SHRIKE – Heylipol, Tiree 30th Sep (Jim Dickson).